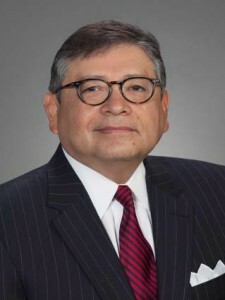 Marcos G. Ronquillo has over 35 years of trial experience representing governmental agencies, such as the Dallas Independent School District and the Federal Deposit Insurance Corporation as well as Fortune 500 companies in high-profile controversies where public policy and social concerns collide in the courtroom. Over 35 years of trial experience representing governmental agencies, such as the Dallas Independent School District and the Federal Deposit Insurance Corporation, Fortune 500 companies, and Business owners in high-profile controversies where public policy and social concerns collide in the courtroom. He was also selected in 2016 by Latino Leaders Magazine as one of the “Top 25 Hispanic Attorneys” in the country. In addition, he received La Luz Award (the highest award given) by the Dallas Hispanic Bar Association (2016). From 2012 to present he has been chosen Best Lawyers in America. Outstanding Lawyer of the Year, Texas Mexican American Bar Association, 1989.
member of the Nation’s Top One Percent by the National Association of Distinguished Counsel. benchmark for other lawyers to emulate. Served as trial counsel to a major independent producer of natural gas in the U.S. regarding breach of contract and civil rights claims in federal court. Counsel to a Canadian-based manufacturing company in distribution of products and services to municipal transit authorities in the U.S.
“Texas: Quality of Life at the Crossroads” co-authored by Edward T. Rincon, Ph.D.